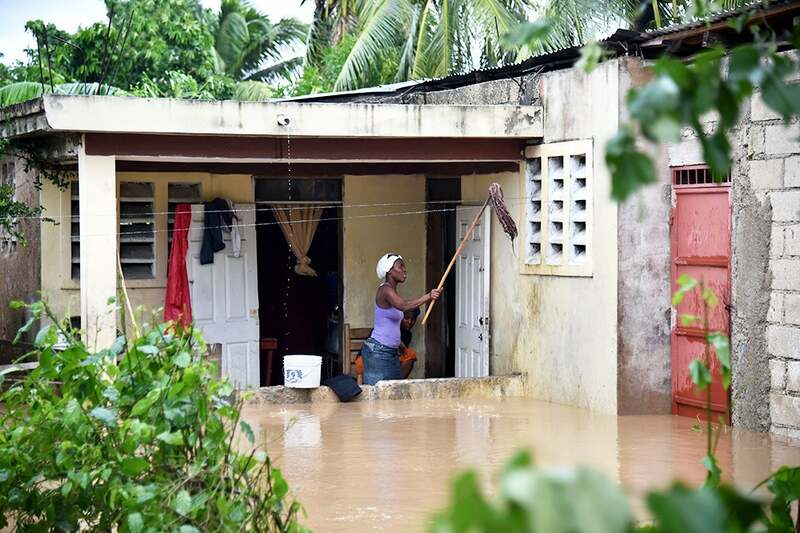 On Tuesday, Hurricane Matthew made landfall over Haiti as a Category 4 storm with winds at speeds of 145 mph. 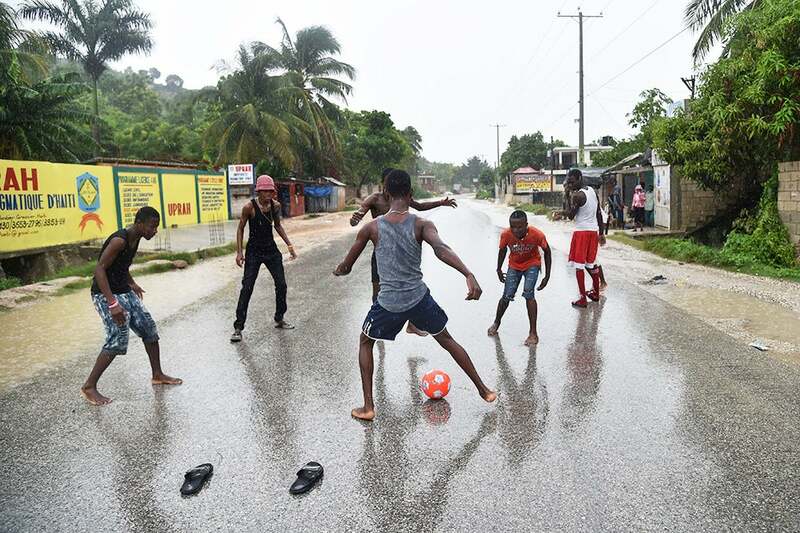 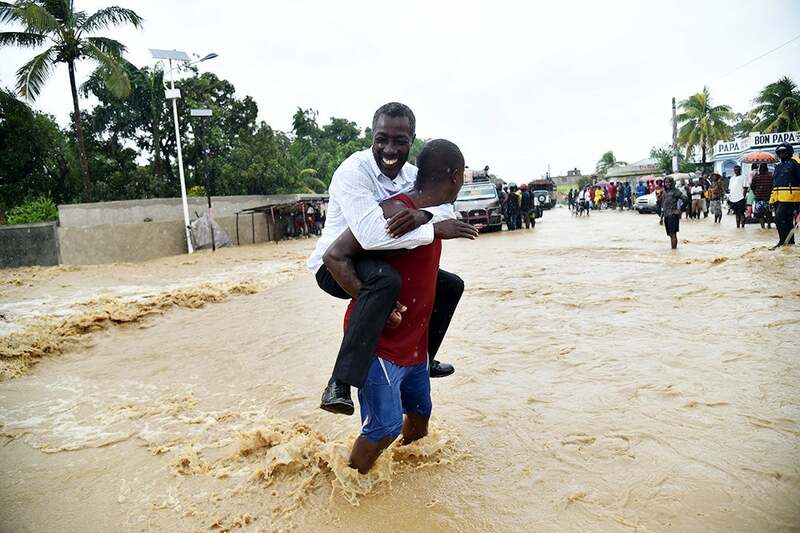 In its path, Matthew flooded villages, wrecked homes and brought Haiti’s death toll to nearly 100. 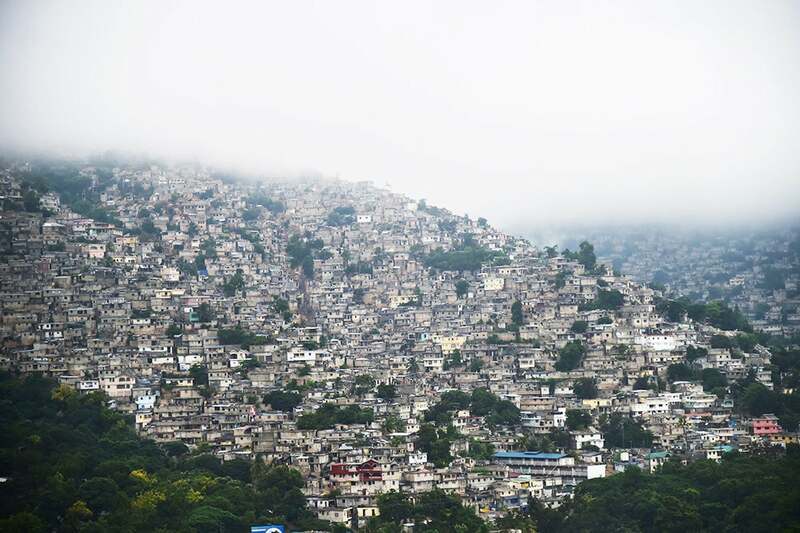 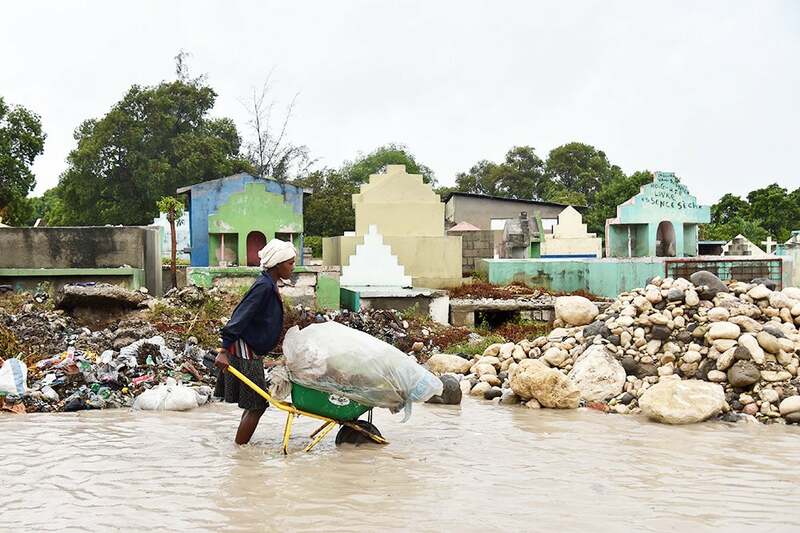 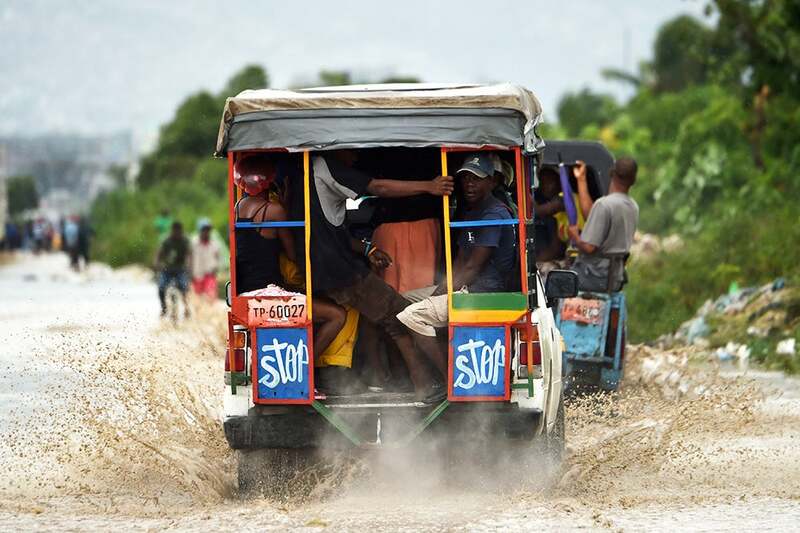 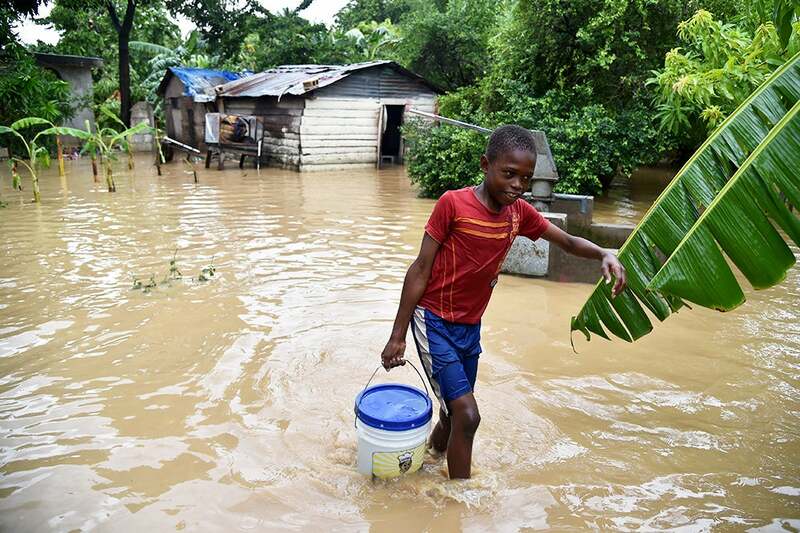 The number of dead is expected to rise, however, as rescue workers continue making their way to the hardest-hit areas in Haiti’s southeastern region to assess the full extent of Hurricane Matthew’s rampage. 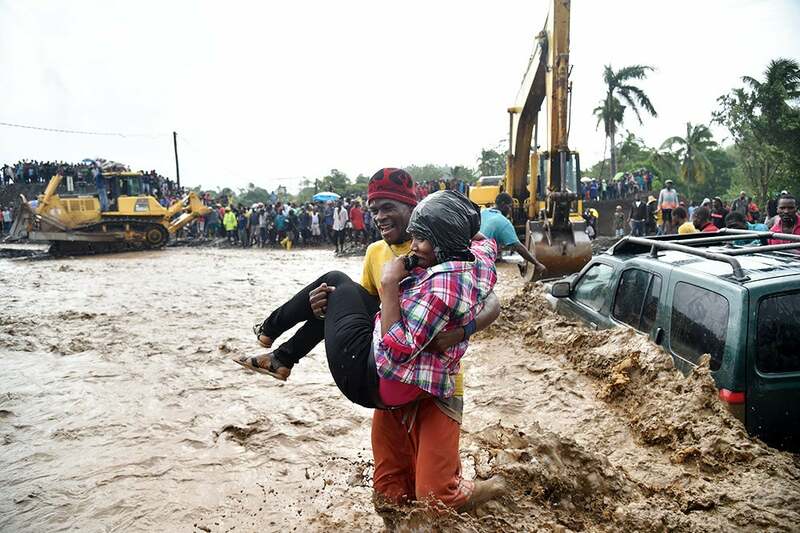 Here are 18 photos that show the devastating destruction in a nation already plagued with challenges. 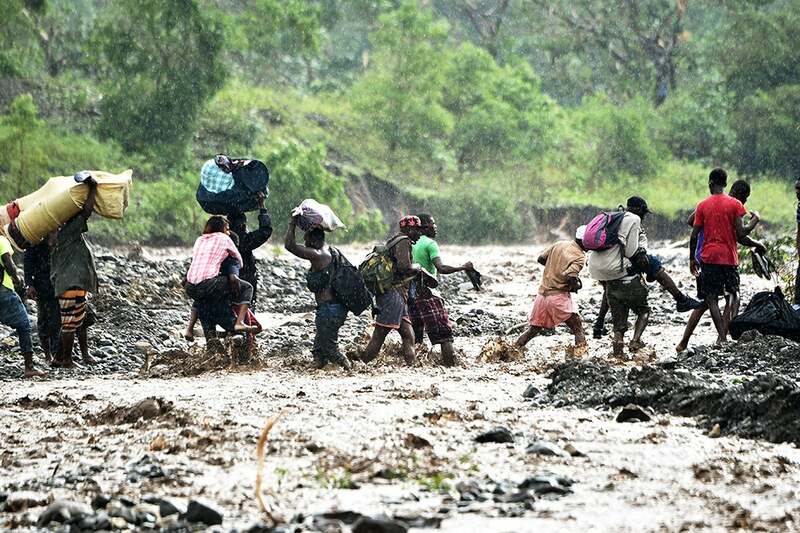 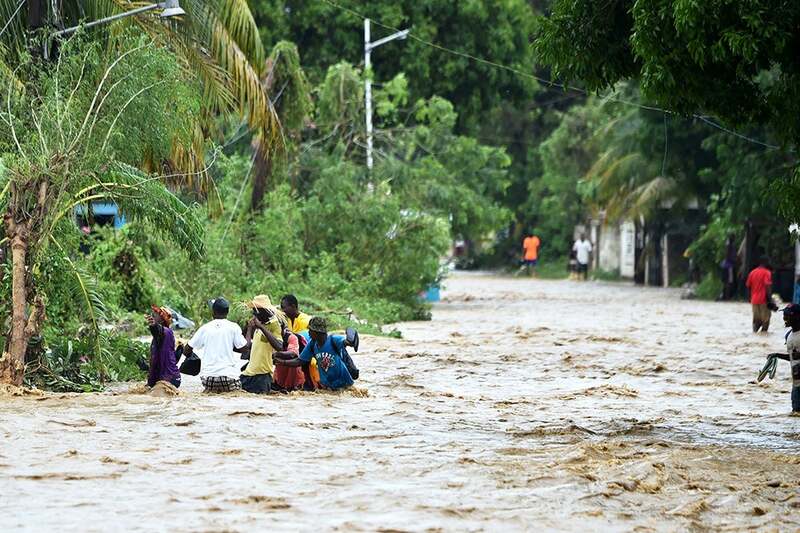 People try to cross the overflowing La Rouyonne river in the commune of Leogane, south of Port-au-Prince. 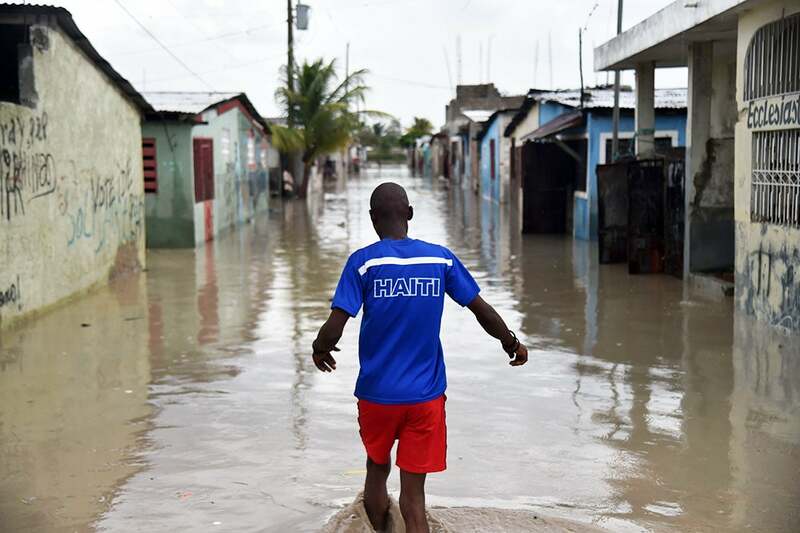 People are seen walking in flooded streets, in a neighbourhood of the commune of Cite Soleil, in the Haitian Capital Port-au-Prince. 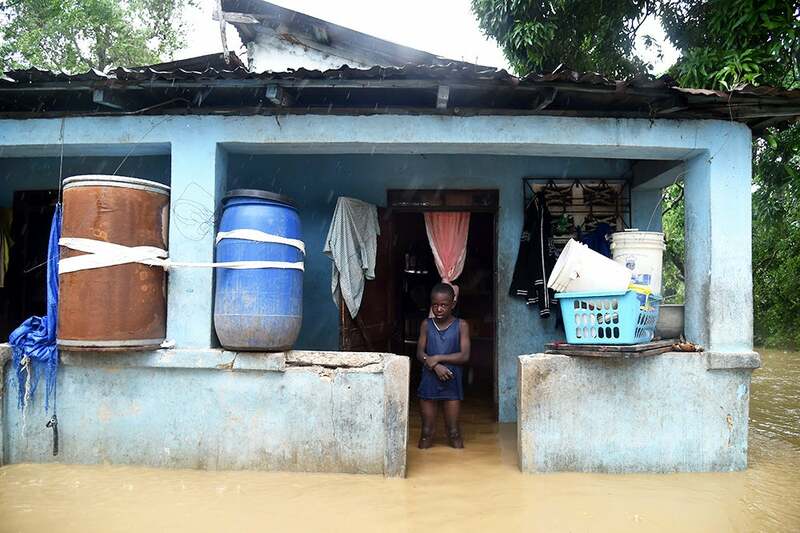 Franki stands in his flooded home following the overflowing of La Rouyonne river in the commune of Leogane, south of Port-au-Prince. 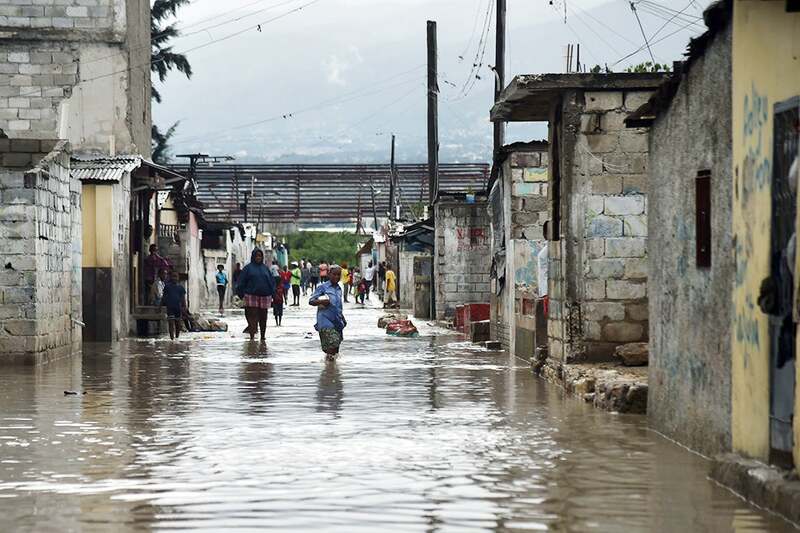 A car makes its way through a flooded street, in a neighbourhood of the commune of Cite Soleil, in the Haitian Capital Port-au-Prince. 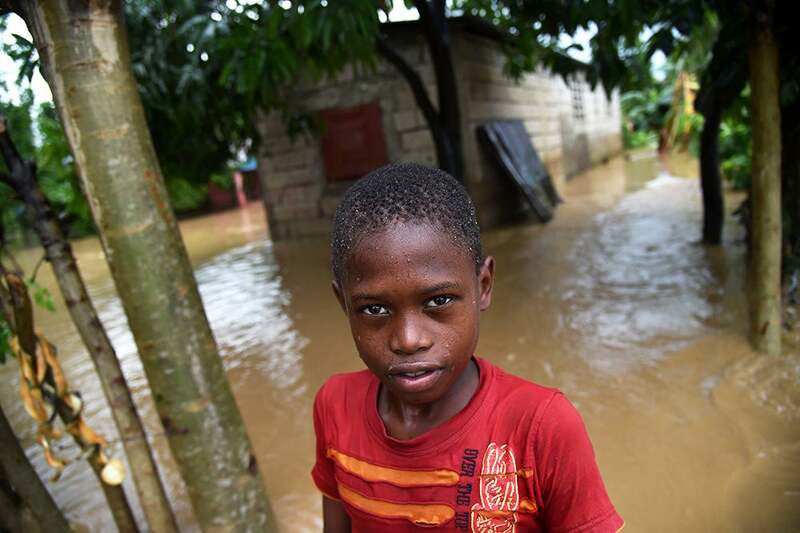 Jonnathan poses for the camera as he stands in flood water near his home following the overflowing of La Rouyonne river in the commune of Leogane. 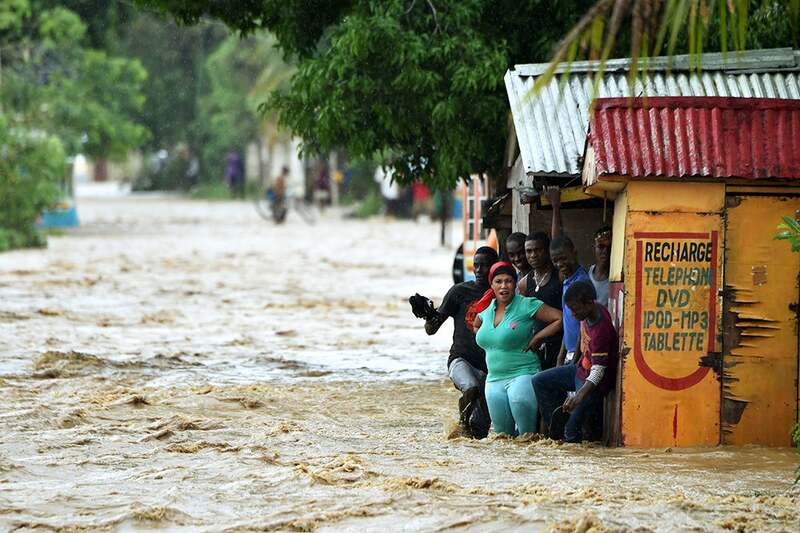 A woman is carried across the river La Digue in Petit Goave where the bridge collapsed during the rains of the Hurricane Matthew. 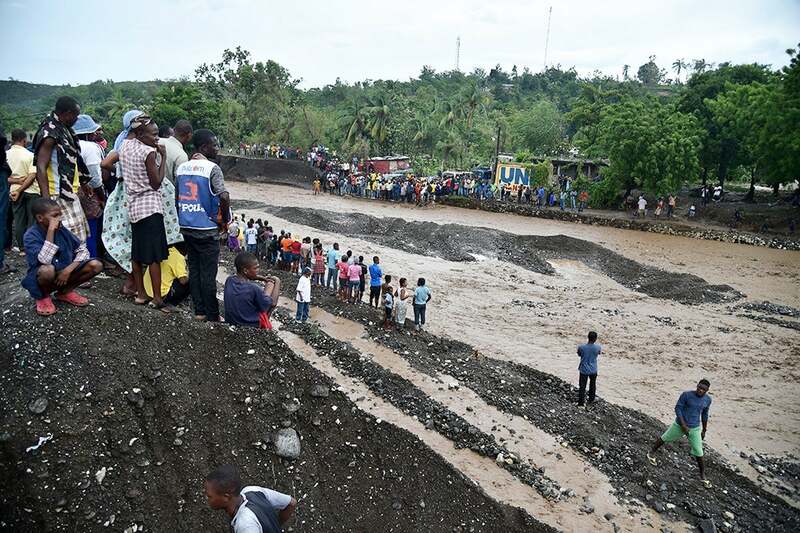 Haitians wait to cross the river La Digue in Petit Goave where the bridge collapsed during the rains of the Hurricane Matthew. 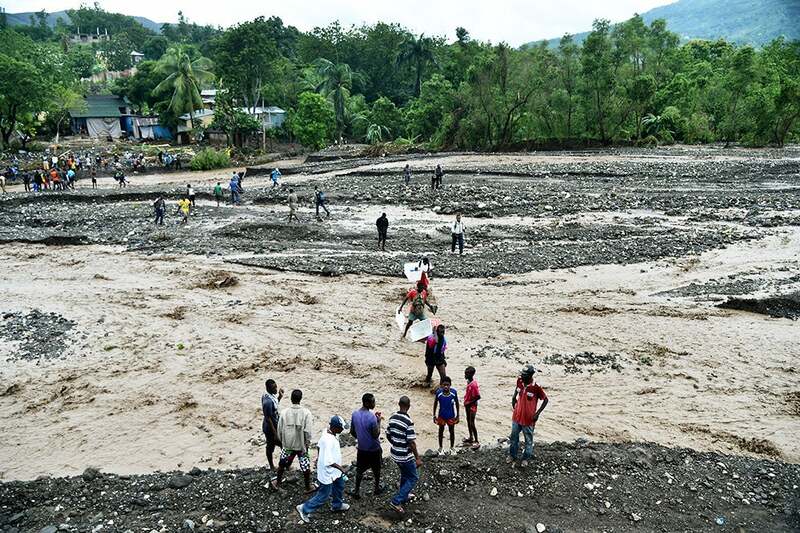 Haitian people cross the river La Digue in Petit Goave where the bridge collapsed during the rains of the Hurricane Matthew.